Getting rid of earwax - Tinnitus can be caused by a build-up of earwax. A wax removal service can help relieve your tinnitus symptoms. Try hearing aids - Many modern hearing aids, like the Oticon Opn, now include special features to help relieve tinnitus. These hearing aids contain in-built sounds, like birdsong, music, white noise or chimes to distract you from tinnitus. Explore therapy treatments - There are a number of treatments available that help your tinnitus fade into the background and become less noticeable. These treatments include Cognitive Behavioural Therapy (CBT) and sound therapy. Many sufferers report their tinnitus to be worse when in quiet rooms; as there’s no other sounds for the brain to focus on. Sound therapy – also known as sound enrichment – creates an alternative or ‘distraction’ sound to reduce the awareness of the tinnitus. Sound enrichment is great for providing tinnitus relief because the brain filters out the tinnitus sounds as the alternative noise takes hold. Some experts believe food and drink can impact tinnitus symptoms. Triggers could include anything from caffeine to salt or alcohol. And making time to relax and playing soothing music can also ease the effects of tinnitus. Perhaps take some time to introduce yoga and meditation, potentially helping your tinnitus and improving your physical wellbeing at the same time. This is more than just hearsay: studies suggest that continuous yoga practice can reduce the symptoms of tinnitus. 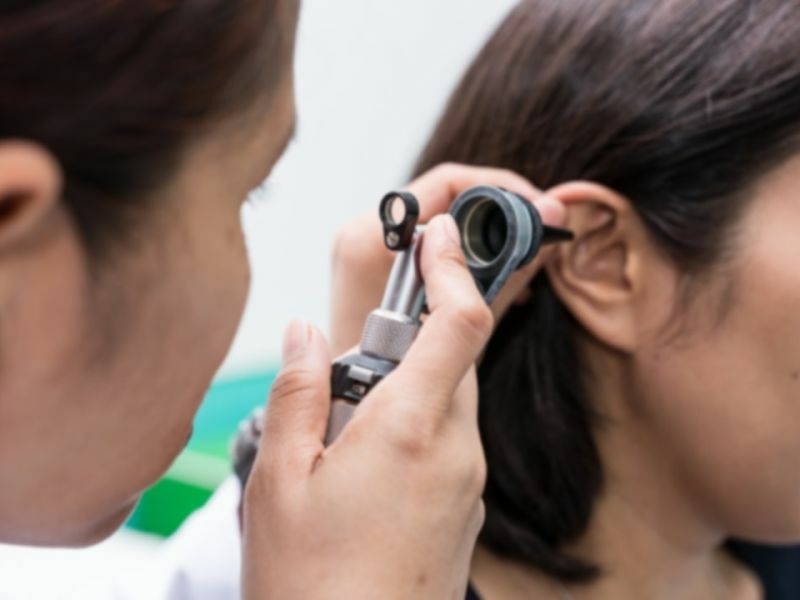 If you have any concerns about your hearing, or you’re overdue a test, our friendly team of audiologists are here to help. Call us at Leightons on 0800 40 20 20, pop into your nearest Leightons branch or book your hearing test online today.